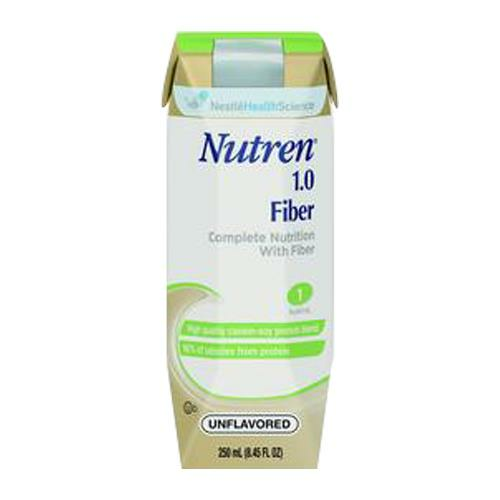 Nestle Nutren 1.0 Fiber Complete Liquid Nutrition contains balanced nutrient profile for short or long term tube feeding. It is used for normal protein and calorie requirements and includes Prebio1 to help promote healthy gut microbiota. Fiber blend includes Prebio1 soluble fiber to help promote the growth of beneficial bacteria and insoluble fiber to help support normal bowel function.